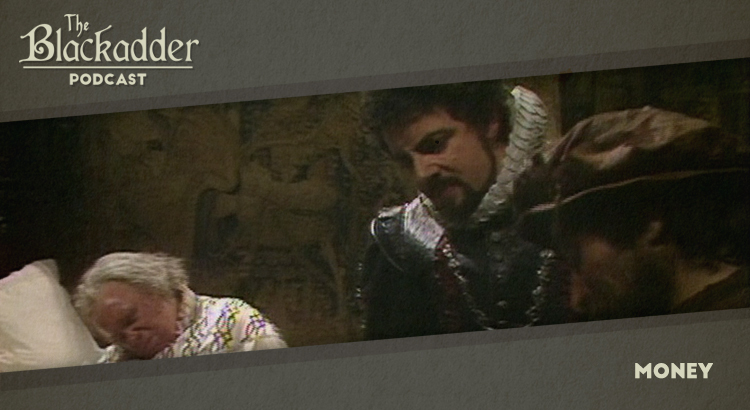 Chains was the final episode of Blackadder II and features a dramatic escape from the clutches of a ruthless villain. In this podcast Gerry and Iain consider an unfortunate incident with a sheep in the nighttime and look back on the series. 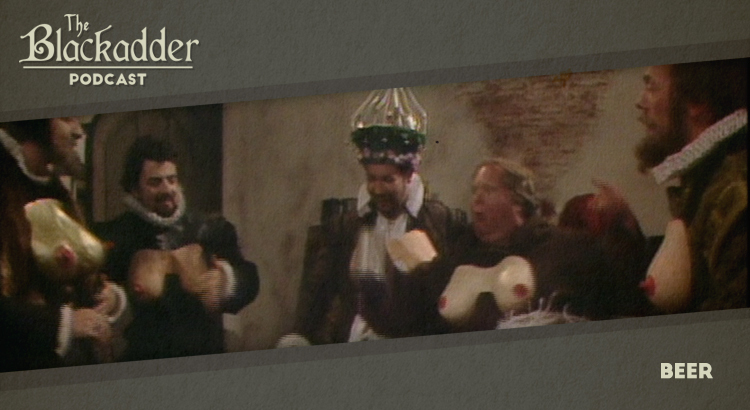 Beer was the fifth episode of Blackadder II and features the unfortunate confluence of two wholly incompatible social events. In this podcast Gerry and Iain take a look at a little goblin and his little feet. Money was the fourth episode of Blackadder II and features Edmund’s increasingly desperate endeavours to raise enough cash to settle a debt owed to the Bank of the Black Monks. 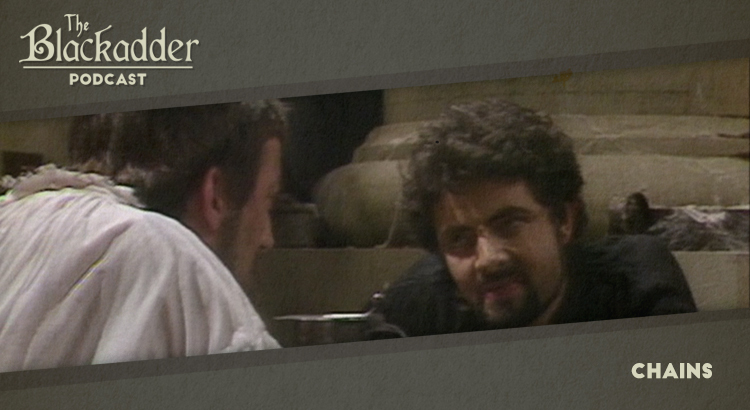 In this podcast Gerry and Iain take a look at a delicious piece of blackmail. 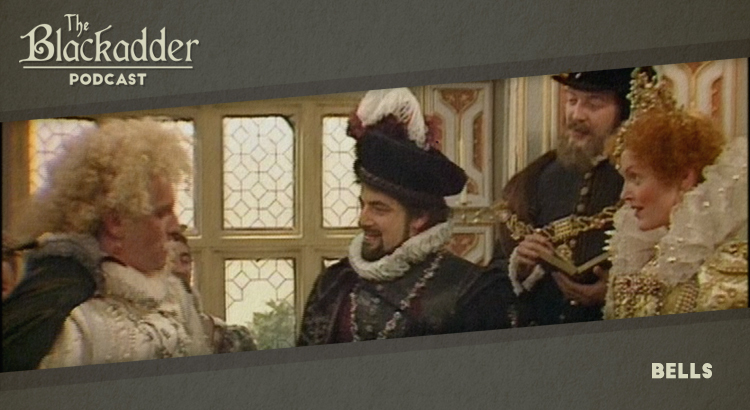 Head was the second episode of Blackadder II and features a new course of employment for Lord Blackadder and a couple of cracking impersonations. In this podcast Gerry and Iain take a look at life working on death row in Elizabethan London. 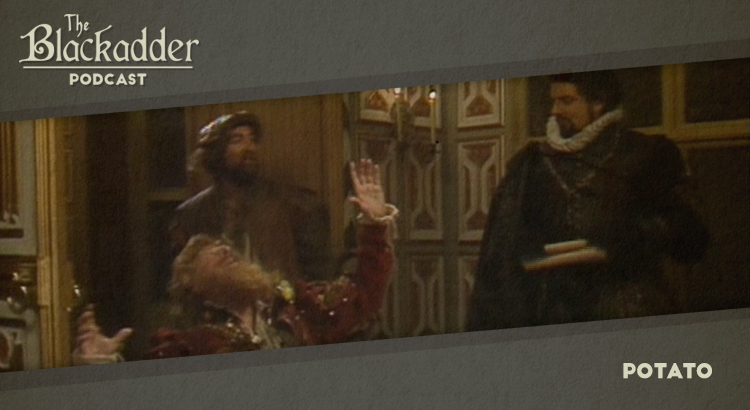 Bells was the first episode of Blackadder II as the show returned after the two-and-a-half year hiatus that followed The Black Adder. 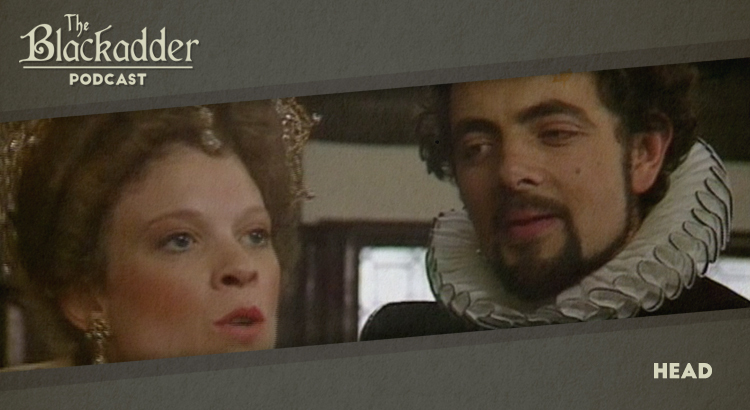 This series is set in Elizabethan London and re-introduced audiences to Rowan Atkinson and Tony Robinson in their now-familiar roles as Blackadder and Baldrick. In this podcast Gerry and Iain take a look at the plot, characters, actors and others involved in the creation of Bells as well as some more general thoughts on the series.